The 25x137 started life as a United States project in the 1960s for a new Armored Fighting Vehicle cannon. When this was cancelled Oerlikon picked up the design, developed it further, and introduced the round in its KBA gun. Since then, the cartridge has also been adopted for the M242 Bushmaster gun fitted to the M2/M3 Bradley fighting vehicles and Stryker Armored Fighting Vehicles (among many other land and naval uses), the GAU-12U five-barrel rotary gun, and the French Nexter 25M811. The widespread use of the 25x137 has resulted in a great variety of ammunition types being made in several different countries: at the last count, Belgium, France, Germany, Italy, the Netherlands, Norway, Romania, Switzerland, Turkey and the USA. Also proprietary rounds like Nammo's Multipurpose and Diehl's PELE. Among these are two loadings with DU (depleted uranium) cores used only by the USA: the PGU-20/U API used by the USMC's AV-8B aircraft, and the M919 APFSDS used by light AFVs. In addition there are various types of practice ammunition. The cartridge cases are all percussion primed and made of steel, and all have a circumferential belt-link locating groove just below the shoulder, a design feature which they share with Oerlikon's 35x228 round. The sectioned round pictured is of the M910 TPDS-T round. The only markings are those stenciled on the projectile. The projectile is of mild steel as opposed to a tungsten alloy. 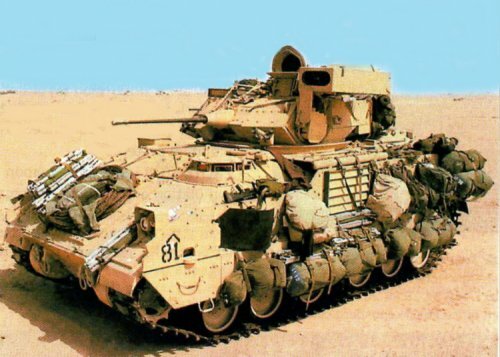 Bradley Fighting Vehicle with M242 Bushmaster 25 x 137mm gun.